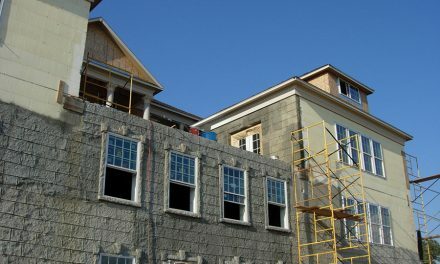 There’s no doubt that acrylic stucco, or textured-acrylic finish, is one of the most popular exterior finishes for ICF. 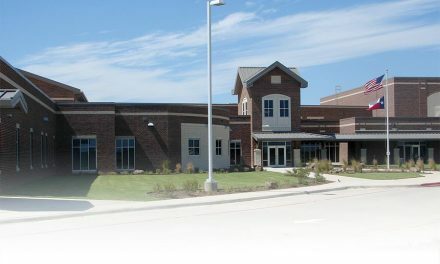 There’s no doubt that acrylic stucco, or textured-acrylic finish, is one of the most popular exterior finishes for ICF. It’s relatively inexpensive, versatile, and easy-to-apply. But the material does have a significant drawback: regular acrylic finishes tend to get damaged easily. This is especially true in ICF work, as the EPS foam substrate is simply not very durable. Whether the damage is intentional, like vandalism, or accidental, coming from careless lawn trimmers, errant golf balls, or even woodpeckers, acrylic finishes of the past haven’t been able to stand up to abuse when compared to brick and stone. Warehouses, factories, and restaurants with drive-through lanes will appreciate a finish that can withstand an occasional bump from cars or forklifts. Prisons and high schools will benefit from a finish that will stand up to the occupants’ abuse. Homeowners in Tornado Alley and hurricane-prone areas will appreciate another layer of protection from flying debris, as well as military installations which require blast resistance as part of the new “force protection” requirements. It’s important to note that the acrylic finishes that can stand up to fire, vandalism, and wind-blown debris can also be useful in withstanding the wear and tear of day-to-day living. 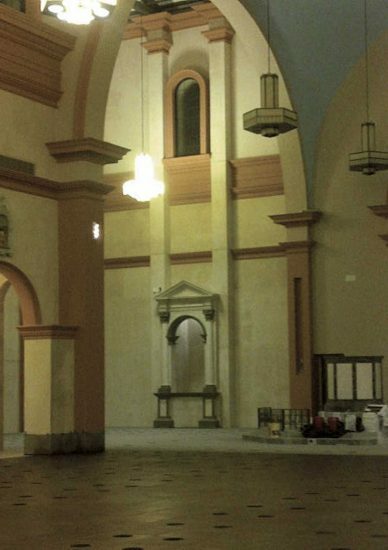 GigaCrete was used on the interior of the Catholic Church featured on p. 20 of this magazine for that very reason. A tougher finish can be achieved using several different approaches. Most use a combination of a thicker basecoat, additional mesh layers, or stronger materials. The “special indenter” Harrison refers to is a four-pound steel cylinder with a half-inch diameter hemispherical head. The height needed to break through the mesh in four out of 10 drops is then used to determine its strength. A standard acrylic finish with a single layer of 4.5 oz. fiberglass mesh is considered a “Level 1” finish (25-50 inch-pounds). Dryvit, for example, will withstand 36 inch-pounds of force, equivalent to a nine-inch drop (9 inches x 4 pounds = 36 inch-pounds). same Dryvit product as above used with 6 oz. mesh can withstand 56 in.-lbs. ; with 12 oz. cloth, it can withstand 108 in.-lbs. of force before failing. Other acrylic finishes are even tougher. ORO Coatings, for instance, is 100% acrylic, but extremely impact resistant. Just because a finish is durable doesn’t mean it can’t be attractive. 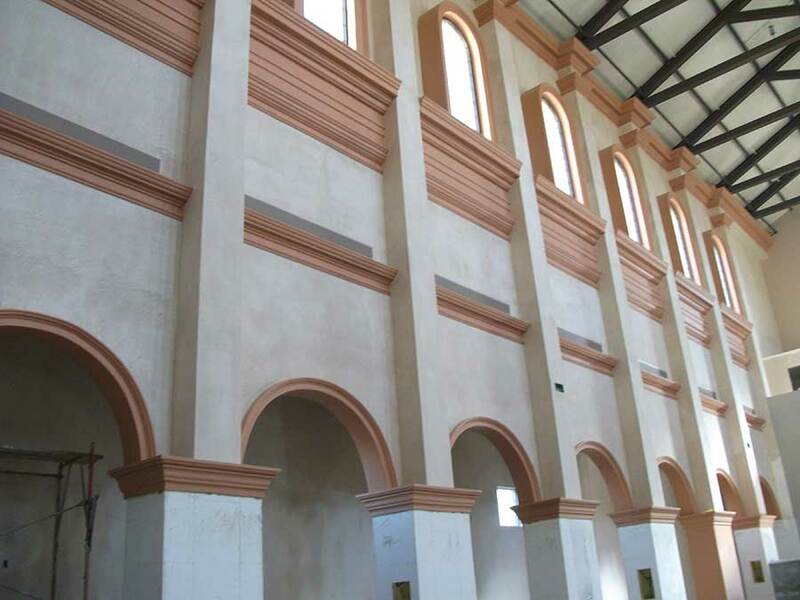 PlasterMax, an abuse-resistant trowel-on ceramic veneer, was used to finish this Arizona Catholic Church. Sider-Oxydro and GrailCoat approach the challenge by using tougher materials. Both companies combine the flexibility of acrylic polymers with the strength of Portland cement. Grail says his product is a bit more expensive than competitors because “the polymers are more advanced,” but says the additional material cost is usually recouped through faster, easier installations. GrailCoat’s Duro-Flex is fully warranted as a coating and waterproofing material if properly installed. “We warrant against cracking, flaking, and peeling on ICFs and on many other substrates as well,” he says. Grail was unable to provide third-party lab testing for compressive and flexural strength, but anecdotal evidence gives some indication. When used as a deck coating, furniture with metal legs can drag across it without damage, and cars and trucks can drive over it with no ill effect. 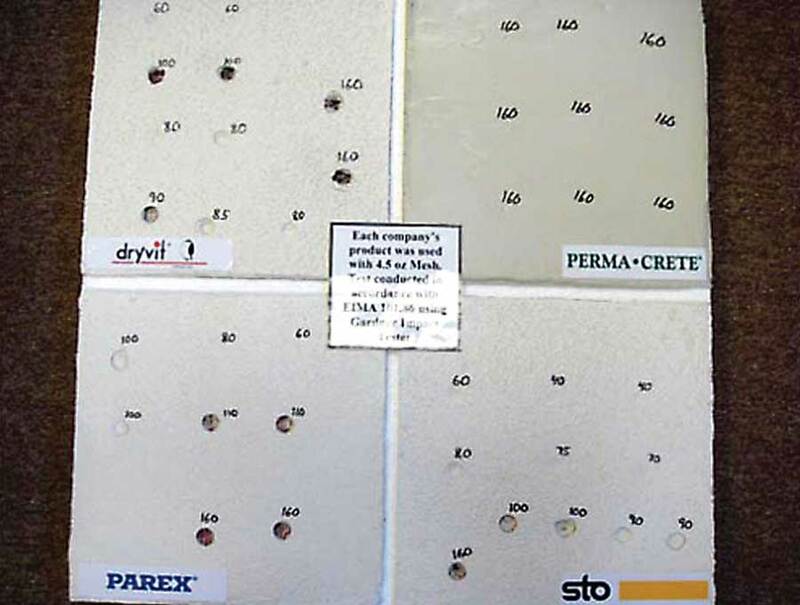 Field tests have also shown that it is an excellent deterrent to salt air corrosion in beach-high rise structures. 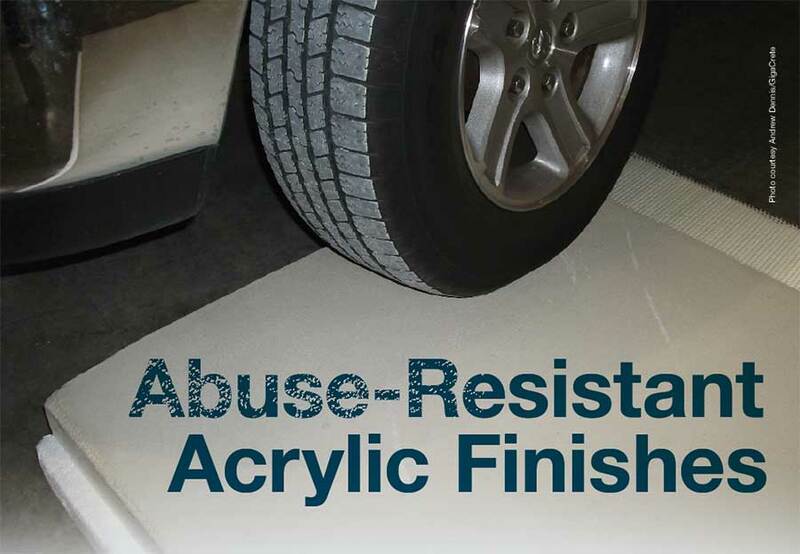 Finally, the product has considerable flexibility, which makes it more resistant to cracking than alternative coatings when dealing with impacts that sometimes occur in high-traffic areas. Sider-Oxydro combines stronger materials with a thicker basecoat. 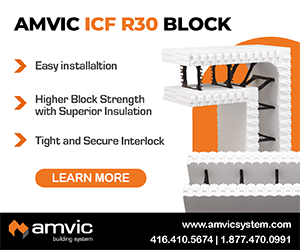 Their Power-Base ICF is applied to the wall at up to ¼-inch thick, four times thicker than the typical coating. The system uses the typical 4.5 oz. fiberglass mesh (no wire lath needed). The mix, which arrives at the jobsite in bags and is mixed with regular water, contains a much larger aggregate which is used to gauge the thickness of the coating and ensure that it’s applied uniformly. Sider offers two types of finish coat. Sider-Plast is a plaster-based product used to create most common textures. 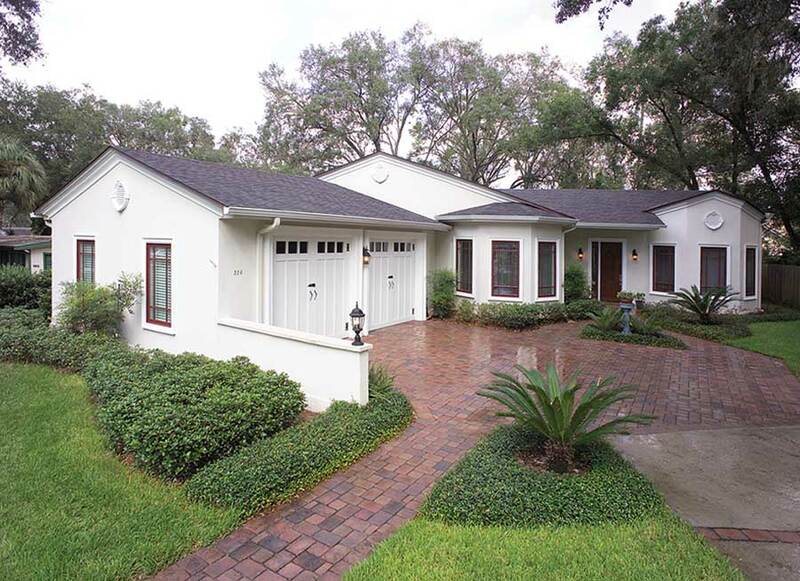 Power-Kote is an integrally-colored cement-based stucco for creating an Old-World-style finish. For extreme situations, PermaCrete and GigaCrete are worth looking at. Both products surpass the highest levels of impact resistance when tested according to the EIMA impact test. When a third-party lab tested a typical PermaCrete panel with 4.5 oz. mesh, it took 178 in.-lbs. of force to create a noticeable indent, and 204 in.-lbs. to crack the sample. That translates to a compressive strength of 6,000 psi. While most acrylic finishes will fail at well under 50 inch-pounds of force, a few like as the PermaCrete sample in the upper right, easily survive an impact three times as strong. Henderson also points out that the product can be spray applied to make big jobs go faster. He estimates experienced three-man crews can apply up to 2,000 sq. ft. a day, and that the total installed cost (product, shipping and labor) averages well less than $2.75 per sq. ft.
Another ultra-high impact-resistant wall coating for exterior use is made by GigaCrete. 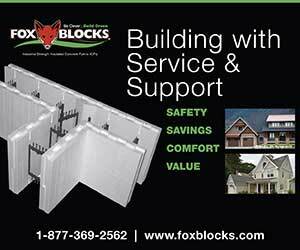 StuccoMax-ICF is a one-coat, impact-resistant finish specifically formulated for insulating concrete forms. The finish cures to 3,500 psi yet still retains flexural strength. 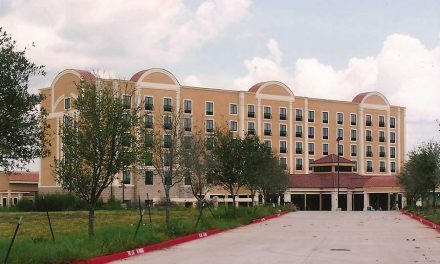 StuccoMax is truly a one-coat stucco and requires no lath or extensive preparations. “Hand-trowelled, the installer applies a thin coat to cover seams and imperfections, then applies the final coat the same day. Spray applied, it can go on in one thick coat which is then textured. There’s no scaffolding rentals or going back over cracks,” says Dennis. For even greater impact resistance, they make a finish that is literally bulletproof. Often, abuse-resistant finishes are just as important on the interior of a building as they are on the outside. GigaCrete’s PlasterMax-ICF is made specifically for these applications. 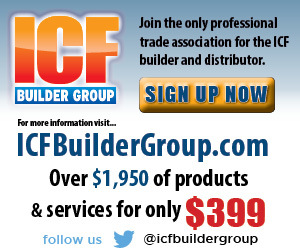 It’s a ceramic cement veneer plaster specifically formulated for ICFs, and is the only known ICF coating that will meet fire code requirements without drywall; an 1/8” coat exceeds NFPA286 fire testing. Dennis recommend 3/16” thickness for additional abuse resistance, fire and thermal protection. He says material costs (excluding labor) are between $1.68 and $1.74 sq. ft. for PlasterMax and StuccoMax. A few of the other products mentioned in this article have also been used for interior applications. GrailCoat’s Duro-Flex, for instance has a Class-A fire rating, and has been used for interiors in humid regions of the developing world to eliminate mold and mildew issues.